Spring is in full swing and you’ve likely been caring for your lawn and garden to create a beautiful greenspace for some time now. 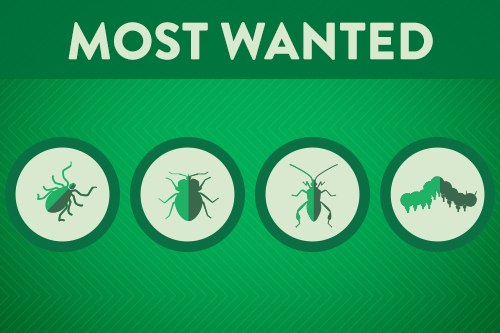 But did you know that some of the tiniest visitors can cause some big problems for your home? We’re talking about warm-weather bugs—ticks, fleas, mosquitoes, and more can all affect the health of your yard, as well as the health of your family. Insects can deplete your lawn of vital nutrients (and undermine your hard-earned landscaping wins) in a short period of time. And pests like these can transmit diseases and cause allergic reactions to both people and pets. Because of this, more than 90% of homeowners with children are concerned about pests in the warmer months. Follow the below tips to identify specific pests, the damage that they can cause and steps you can take to prevent their takeover. Chinch bugs are tiny insects that feed on the juice in blades of grass. If you see large brown patches of grass, chinch bugs may be the root cause. These small pests thrive in a hot, dry environment and reproduce in large numbers, leading to lawn death if untreated. Cinch bugs love thatch, so managing this natural layer of your lawn is key to stopping their spread. Gypsy moths flourish in the late spring and can wreak havoc on otherwise well-kempt trees. They disperse by spinning a thread and using wind currents to blow them from tree to tree, much like a spider, leaving behind unattractive, tan egg cases on stems of leaves. If you notice any of these signs, destroy egg masses found on tree trunks or other surfaces by putting them in a jar of soapy water, diluted chlorine bleach or diluted alcohol. Both ticks and fleas can thrive in warm weather and can leave uncomfortable, and dangerous, bites on the skin. Lyme disease, which is transmitted by the deer tick, is the most commonly reported tick-borne illness in the United States. Typical symptoms include fever, headache, fatigue and a skin rash; if untreated, nervous system damage can occur. Unfortunately, there are no protective vaccines for humans for tick-borne diseases so preventative measures are key. Ticks like heavily wooded regions and areas with brush, thick and tall grass coupled with a moist environment, while fleas flourish in a warmer, drier area. They can be difficult to control, requiring more than one professional treatment to eradicate. According to homeowners, mosquitoes are the most concerning bugs of the summer with irritating bites and buzzing. And for good reason—mosquitoes are often described as one of the deadliest insects on earth. Some of the most common and well-known diseases transmitted by mosquitoes include Zika, West Nile virus, malaria, dengue and equine encephalitis (EEE). 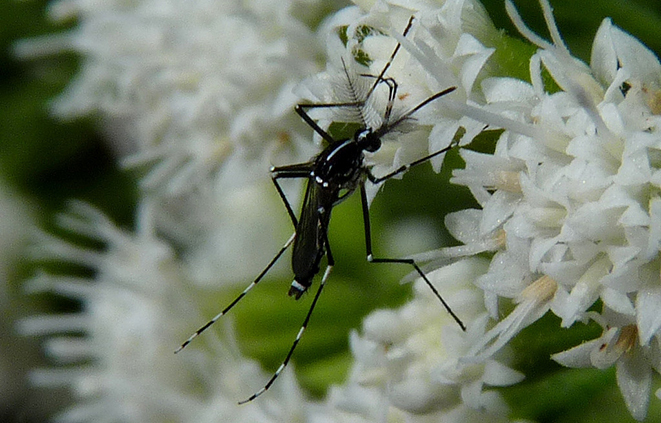 Mosquitoes can breed in as little as a ½ inch of standing water. This underscores the importance of homeowners regularly ridding their property for containers that could be collecting water, thus eliminating a breeding ground for mosquitoes. Because nuisance pests can congregate in backyards, it is especially important to help protect yourself and your family so that you can fully enjoy your outdoor time. Memphis, Tenn.-based TruGreen is the nation’s largest lawn care company, serving more than 1.9 million residential and commercial customers across the United States with lawn, tree and shrub care. TruGreen believes more life should be lived outside and is committed to providing a beautiful lawn to serve as the foundation for outside experiences and lifelong memories. Go to http://www.TruGreen.com or http://www.facebook.com/TruGreen for more information.